Barbara Triscari grew up in Ohio and Fort Wayne, met her husband at Purdue, and then they embarked on their military journey while raising three girls. She moved to the Lebanon area with her family after her husband retired from the military in 2010 after 13 moves: she lived in 9 states and Italy and traveled to five foreign countries. Throughout her travels photography has been a constant and she has taken over a million photographs. 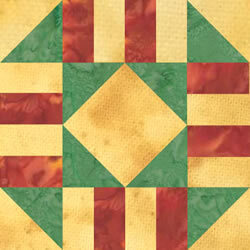 Barbara is an art quilter who draws from her photography to create innovative quilts. She began to quilt after seeing that photographs could be printed on fabric. She began exploring ways to piece photographic quilts and soon realized the potential of textiles as a medium and delved into art quilting. Barbara has developed techniques and shares her experiences in magazines and presentations. She prints on leather and other unconventional materials and uses rust in a controlled manner to reproduce aspects of her photographs. She exhibits frequently in quilt shows and art exhibits.